People with disabilities want what everyone wants--a good job, time for fun, lots of friends and a path to a better, more secure future. From young adults starting an internship to retiring seniors, our lifelong learning programs provide the support, training and ongoing advocacy that ensure clients meet all the challenges of adulthood while acheiving personal goals. Meet a few of our recent success stories. Manasseh works with special care dogs at Wag Hotels where boarding and round-the-clock care are provided in a modern 14,000 foot facility south of Market Street in San Francisco. 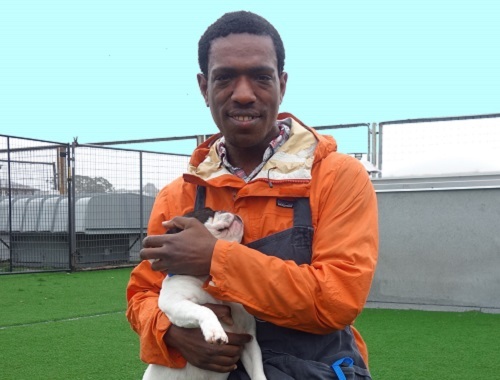 Always a dog lover, Manasseh got support to fine-tune his professional skills through job prep classes and as a participant in The Arc's site-based internship program at the California Academy of Sciences. "I loved dogs even before I could walk, but they're all different," says Mannaseh. "At Wag, some dogs can't be in play groups so I take them out myself so they get exercise." If dogs are our best friends, surely Manasseh is the best companion a pet could hope for when a guardian leaves town for business or a vacation. (Above) Manasseh cares for one of the dogs he works with at Wag Hotels. 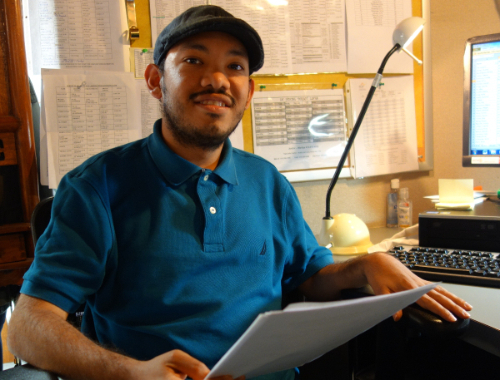 Alan is proficient in Microsoft Office and honed his support and data processing skills as an intern in The Arc's immersion internship program at PG&E. But his bilingual skills made him extra attractive to PG&E execs who decided to bring him onboard as part of the Integrated Multicultural Communications department where his message-testing strengths, office skills and positive attitude are a huge asset to the utility company that provides information to a wide spectrum of California customers. Alan says the job coaching he receives from The Arc will help him grow and advance in his career. "I'm not done yet," says Alan. (Above) Alan is ready to bring his strong work ethic and organizational skills to PG&E. Athene tells her friends, "I love my parents, but.. you know...who wants to live with their mom and dad when you're an adult?" 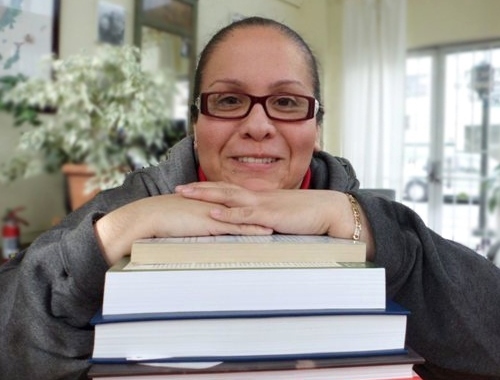 Like many clients of The Arc, Athene needed help to make the big move toward independence. 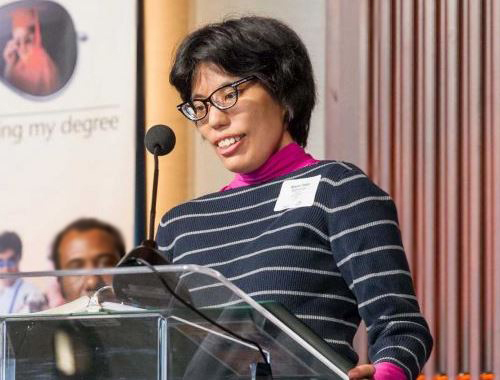 The lack of housing and difficulty searching was daunting, but with help from her Arc advocate, Athene kept her dream alive. When she saw her freshly painted new studio for the first time, Athene thought, "This is it. This is the place for me." Today, she gets coaching to help with paying bills, shopping and managing her household. Cooking is another story. As Athene tells it, "I'm going to burn a cheeseburger once in a while, but the mistakes I make are mine." (Above) Athene tells her story at the Arc Angel Breakfast fundraiser. "I love kids. I always wanted to work with kids." Cindy is a natural around children and knew her future was supporting their growth and happiness. But she didn't know how to get started on a career path that would bring her closer to her goal. She and her Arc instructor worked together on her education goals and mapped out a month-by-month plan, from registration in Early Childhood Development classes at City College to weekly study hours and extra time for tests. Today, Cindy is certified with the State of California and she works as a Teacher's Assistant at Bright Horizons day care in San Francisco. "It was hard work and many, many hours, but I did it!" says Cindy. (Above) Cindy gets ready for an evening of serious studying. “I love coming to The Arc and seeing my friends,” says Rosetta. “It can be lonely at my age, but now I have a place to go.” For many seniors, loneliness is a real problem. It can be especially difficult for those with disabilities who may lack the support needed to get out and participate. Rosetta arrived with few friends in her age group and told us she used to spend most of her days alone, in front of the television just wishing she had a place to go with seniors like herself. Now, Rosetta is one of over 40 seniors who call The Arc family. 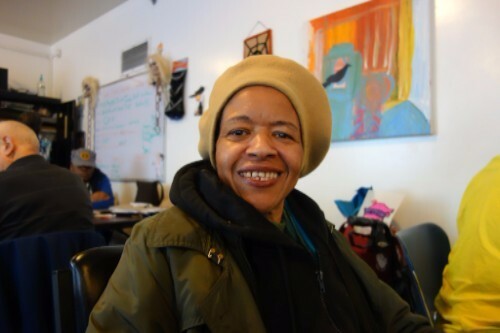 She keeps herself busy visiting different senior centers, enjoying cultural events and participating in some rigorous movement classes offered at our Howard Street campus. “My favourite thing is the dance class. It’s fun and the music keeps me moving!” (Above) Rosetta loves coming to The Arc where she and her senior friends stay active and engaged.  Clinton has been a client of the Arc for several years. Though he has lived in San Francisco all his life, Clinton loves to travel and always has a story to tell. With help from Arc staff and friends, he gained the confidence and skills to travel independently, frequently making trips to explore the city and beyond. “I love taking the BART. I know all the buses in the city and I like to go to lots of different places.” One of Clinton’s personal goals was to start a blog. Already, he has written stories about his travels to Disneyland and the many parks of the city. 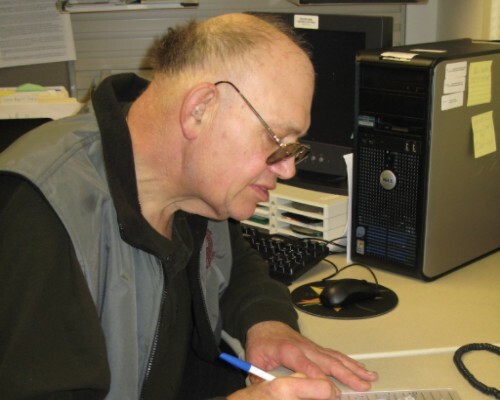 He is currently enrolled in classes at the Arc to improve his typing so that he may gain the skills needed to share his many adventures. (Above) Clinton sits hard at work to improve his writing skills.